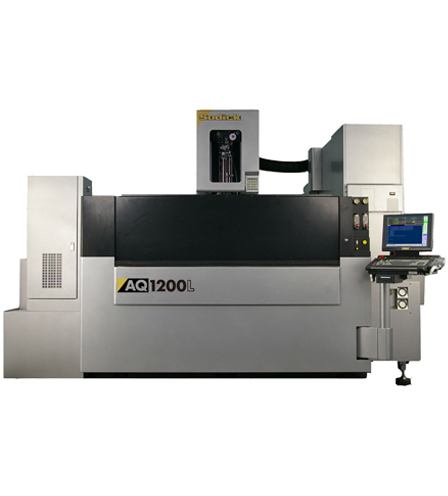 AQ1200L is the larger Wire EDM in our product line and incorporates Sodick’s in-house made technologies such as Linear Motors, Ceramics and NC controller. With AQ1200L it is possible to machine almost any size which requires Wire EDM application in general scenario. AQ1200L facilitate to finish the work piece in a single set up with minimal pitch error and to mitigate the possible rejection which normally allied with multiple settings, especially while making progressive & electrical lamination tools. Further AQ1200L makes even more comfortable to machine moulds for large screen TV and automobile bumpers.